What did we do in class? Were you absent? Do you need new copies of assignments? You have come to the right place. You will need a .PDF reader in order to view and print the assignments. Make sure to talk with Mrs. Johnston if you have questions. Class Business (Disclosure, Plagiarism Policy, etc.) Due tomorrow. Students need a 70 page college ruled spiral notebook (not composition) by Friday. Students need a reading book and English folder/binder by Friday. Students will be required to bring their supplies everyday to class. Read and analyze "Paintball Rules"
Collect evidence/clues, record your conclusions and page numbers on back of foreshadowing worksheet (it's the side with three columns). 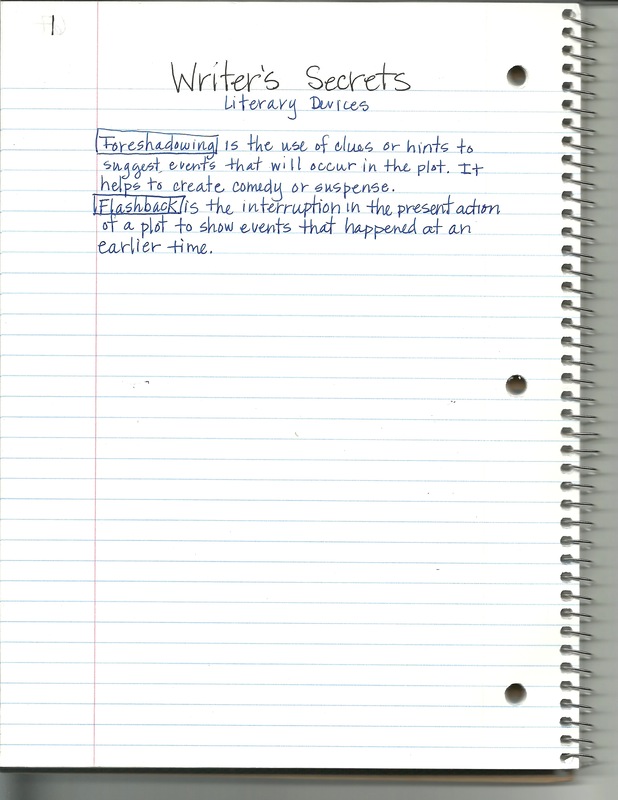 Record the definition of flashback in the Writer's Secret section of your Writer's Notebook (at the back). You will now have two definitions in your Writer's Secrets. Flashback is the interruption in the present action of a plot to show events that happened at an earlier time. Watch the following examples of flashback to understand how the author uses flashback to develop characters, conflict, and theme. 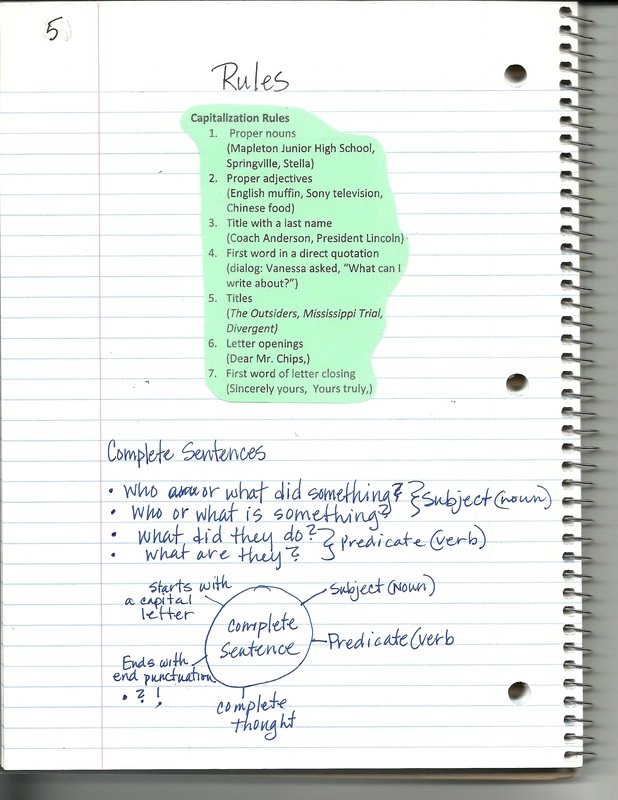 Glue Capitalization Rules into the "Rules" section of your Writer's Notebook, page 5 from the back of your notebook. trim to fit. Write down your thoughts and feelings to this story in your Writer's Notebook on page 8 under "Writer's Playground". Two pages of writing in Writer's Playground due on Friday. You can write about anything you'd like after you write about the prompt. 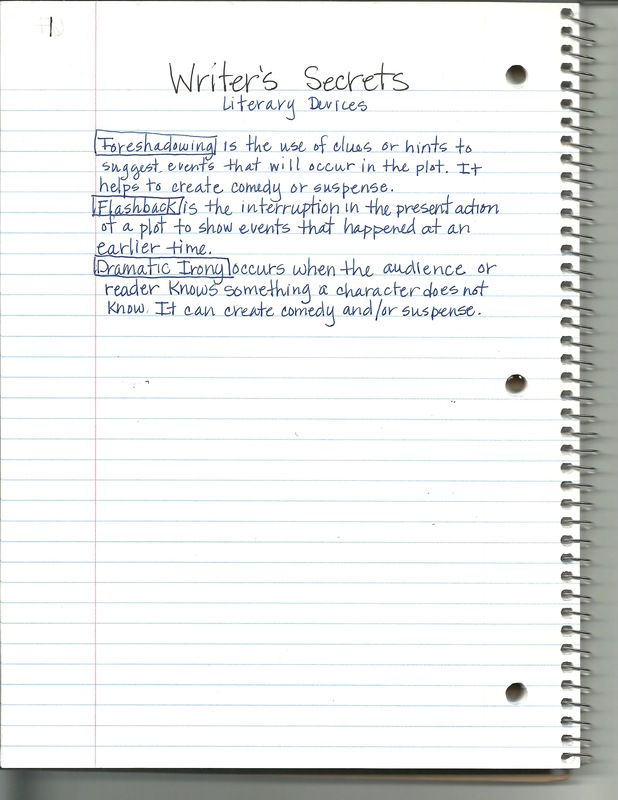 Review elements of fiction (characterization, plot, setting, conflict and theme) Copy definitions into the Writer's Secret (in the back) section of your notebook. Read The Paper Bag Princess by Robert Munsch and fill out the plot map of the story. Turn in The Paper Bag Princess plot map. 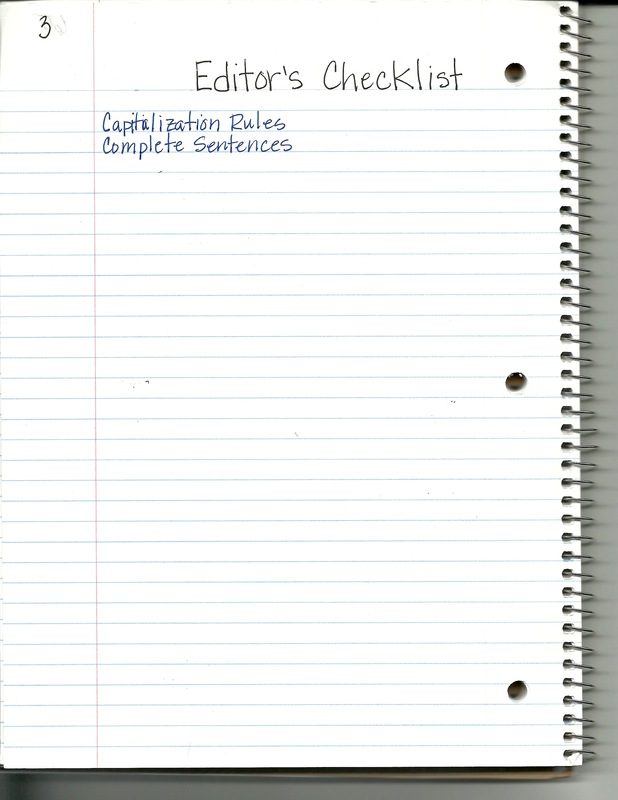 Write down rules for complete sentences in the back of your Writer's Notebook under "Rules." Writer's Notebook Prompt: Read excerpt from the poem "The Haunted" by Jack Prelutsky and then answer the prompt, "Describe a place that is fine during the day but scary at night. This will be our second Writer's Notebook assignment. It should be written on pages 10 and 11 under "Writer's Playground." Write for five minutes. Two pages (pages 10 and 11) are due on Friday, Sept. 19. 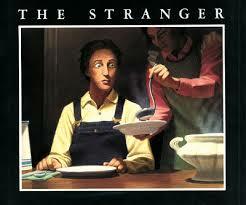 Continue Elements of Fiction Test - multiple choice. Look at how Jack Prelutsky's craft in "The Haunted"
2. Choose a picture to help you develop your scary character. 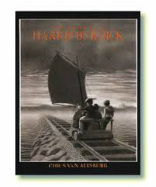 You can choose a picture from eitherThe Mysteries of Harris Burdick by Chris Van Allsburg or As the City Sleeps by Stephen T. Johnson. You can use the title of the picture as the first line in your story. 4. Develop a scary character. It must be at least a half page in length and incorporate your two product goals. 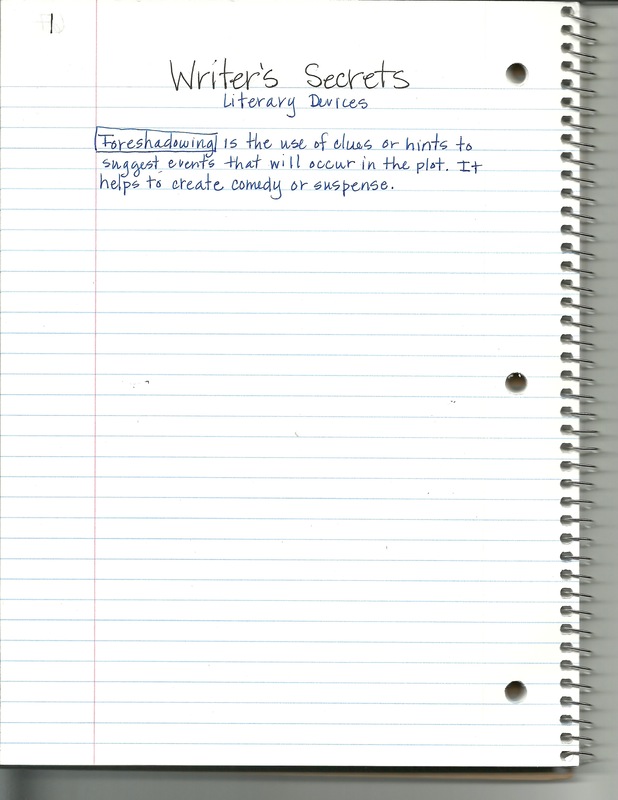 Be sure to check the notes on characterization in the Writer's Secrets section of your notebook. Writer's Notebook Revision imitating the writer's craft by using strong verbs, nouns and complete sentences. Develop a scary setting. It must be at least a half page in length and incorporate both product goals. 1. Read your partner's character and setting vignettes out loud. As you read, stop and discuss areas that need improvement, ask questions, etc. 2. Did your partner indent paragraphs, write complete sentences, capitalize, include product goals, write a title, and use the first line of the picture? If not, discuss suggestions for improvement. 3. Next, you will read your vignettes out loud and you will follow the steps again. 4. 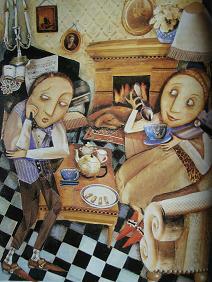 Once you are finished collaborating with your partner, rewrite your vignettes and make them better. Remember no one's writing is perfect. Everyone needs help improving. Be helpful, honest, and kind. Writer's Notebook (WN #6): After reading the following passage from The Screaming Staircase where Lucy, the narrator, has to face a challenge and overcome it, answer this question, "What challenges have you faced and overcome in your life?" Review helping verbs song, memorize, test is on Thursday. Improve writing by using strong, active verbs and using helping verbs sparingly. Type revised character and setting vignettes. Print character and setting vignettes and turn in. Underline and label product goals and revisions in polished vignettes. Edit and revise Writer's Notebook prompt from Tuesday about challenges. Circle helping verbs. Share your vignette with others in your row and tell them what you love about their vignettes.